This interactive, applications-driven 5-day GLOMACS Project Performance Measurement and Management training seminar will highlight the added value to be achieved when effective control mechanisms are applied using project management techniques. The facilitator will introduce each of the core topics using a lecture format. Presentations are supported by reinforcement exercises to emphasize the application of theory in real-world project settings. This GLOMACS Project Performance Measurement and Management training course commences with an overview of the nature of projects and the fundamentals of project management. 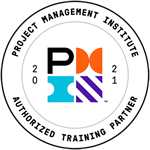 This enables delegates to reflect on how a project management framework supports effective control processes. This is supported by a detailed treatment of project metrics, KPIs and reporting formats. Standard techniques used to promote detailed planning of scope, schedule, cost and risk are introduced and applied by delegates.